Folder Guard uses the MSI files to install its software on the client computers. 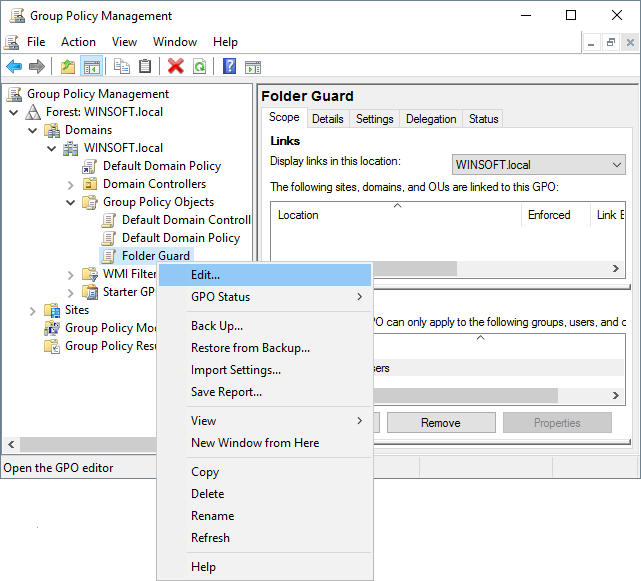 As such, configuring the GPO to install Folder Guard on the client computers is not different from any other software that is using the MSI files for its installation. 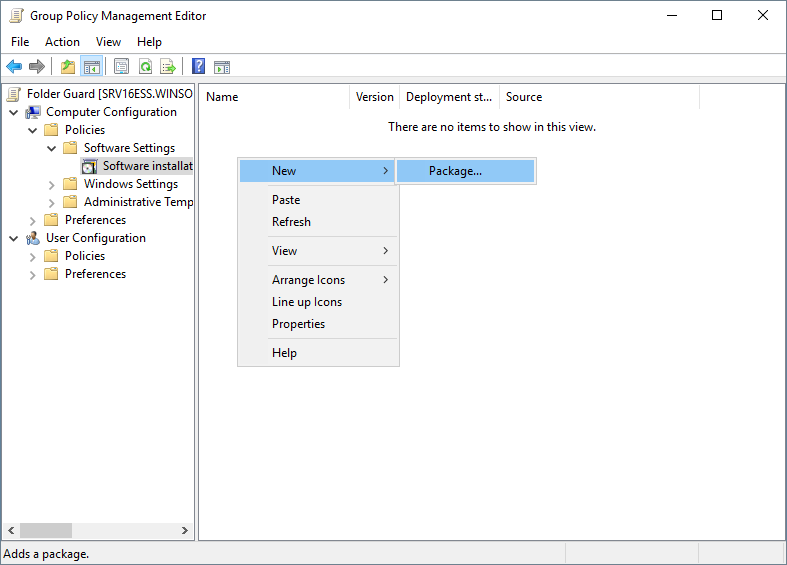 This task should be done just once, when Folder Guard is first installed on the network. 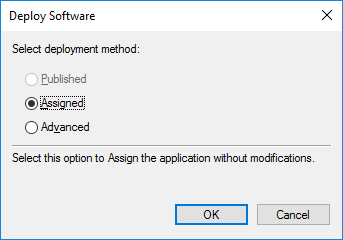 You should also repeat it when upgrading Folder Guard to a new version. 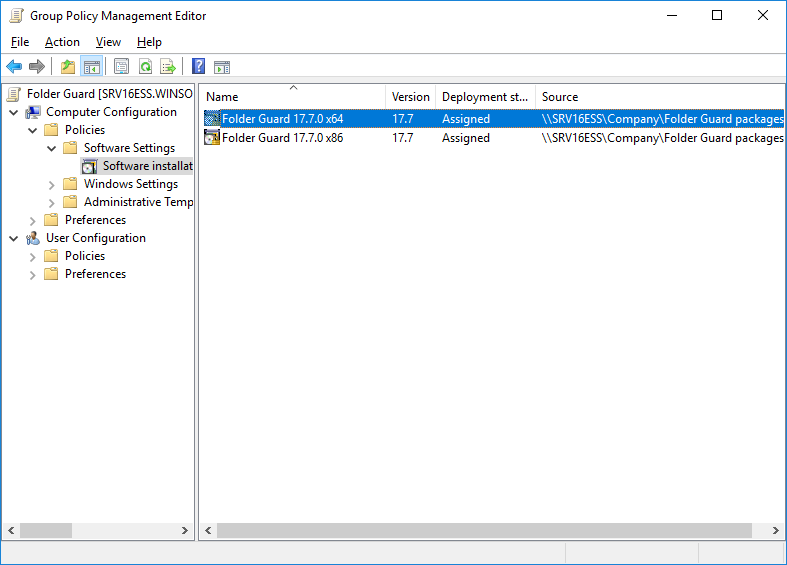 You may want to create subfolder there named Folder Guard packages, and copy both the Folder Guard-NNN-x86.MSI and Folder Guard-NNN-x64.MSI files into it. Close the Group Policy Editor. Note that at this point even though the GPO is configured to install Folder Guard on the client computers, no installation is taking place yet: you must link the GPO to the appropriate Organizational Unit(s) in order for the installations to actually take place. Note that the MSI files contain only a subset of the Folder Guard that is necessary to perform the protection on the client computers. 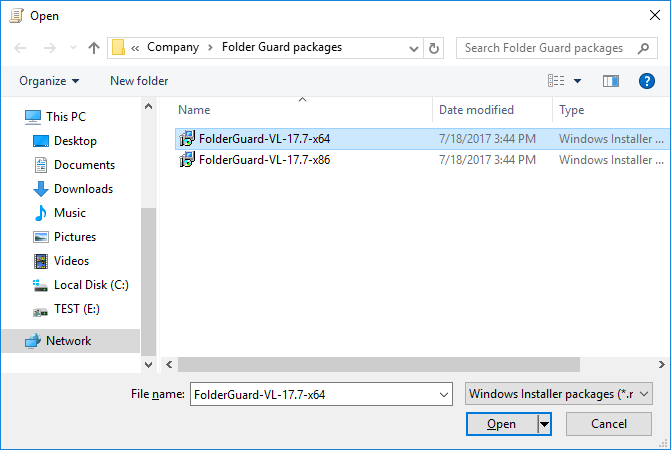 The MSI files do NOT install the Folder Guard application that is used to configure the protection settings. That's why you should not use the MSI files to install Folder Guard on the server; use the full setup program for that.